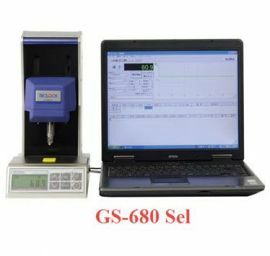 ● Speed controller with high reliability is adopted for moving down speed adjustment unit. 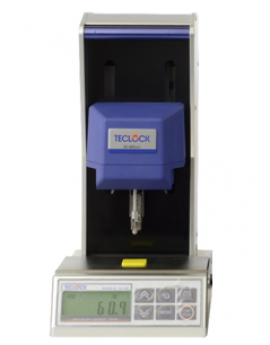 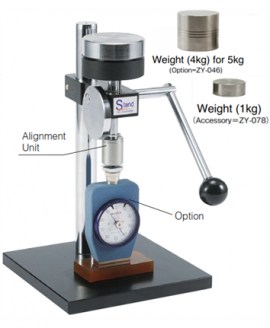 ● 65mm for analog and 40mm for digital are obtained for possible measuring range. 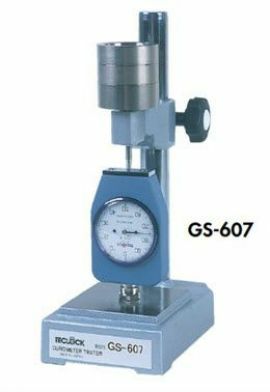 ● Shaft with square thread is adopted that can prevent holder falling down and moving up and down. 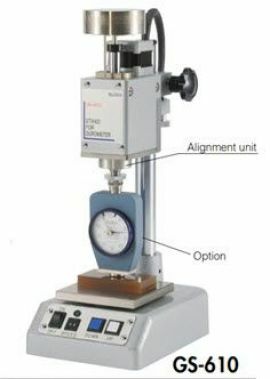 ●1kg can be measured by type A and type E durometer as they are. 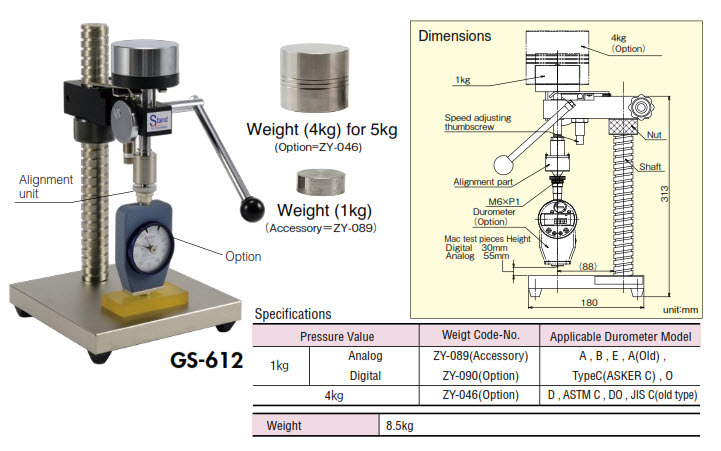 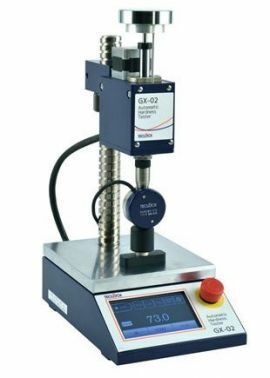 Measuring by type D needs optional weight ZY-046 for measuring 5kg.. Digital durometer GSD series needs optional weight ZY-090 for measuring 1kg..
● Calibration certificate of mass (with durometer) can be issued, which are prescribed in ISO / JIS.